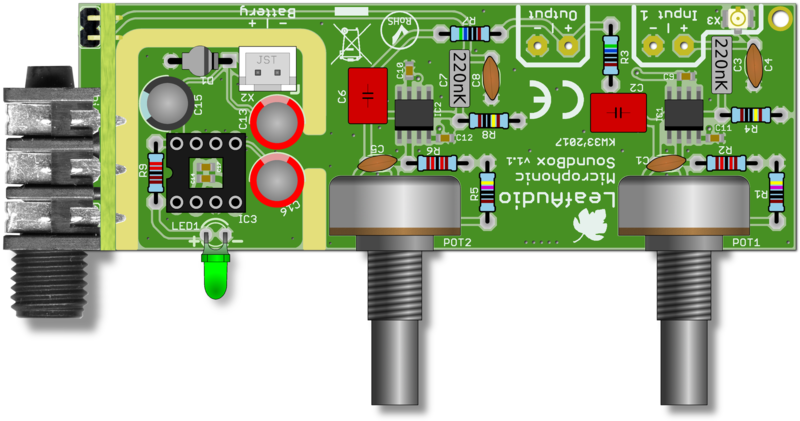 On this page we provide info, videos and help about building the Microphonic Soundbox DIY kit. 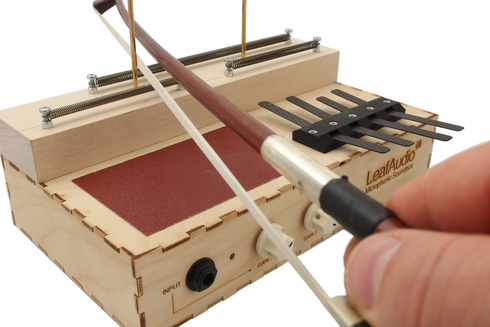 Building the Soundbox is advanced. 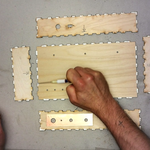 It is generally not too complicated, but some steps in the building process are not obvious. 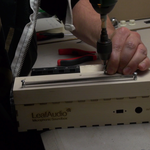 You have to work with wood and mechanics, electronics etc. and the order is very important. Even if you are an experienced builder, it's important to read the documentation and watch the videos. If you find any issues or interesting solutions for problems, which occur while your building process, please report them to our support adress. We will then start a kind of knowledge base. 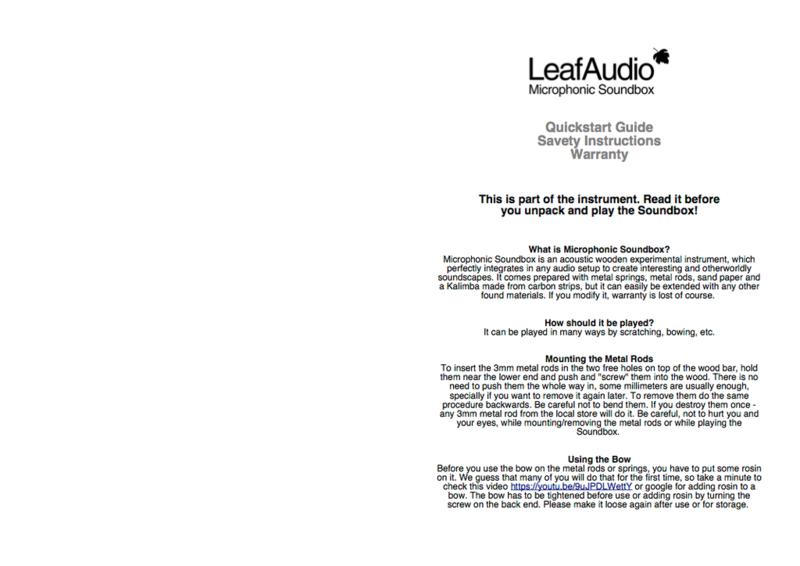 Please read the official Quickstart Guide and Savety Instructions. 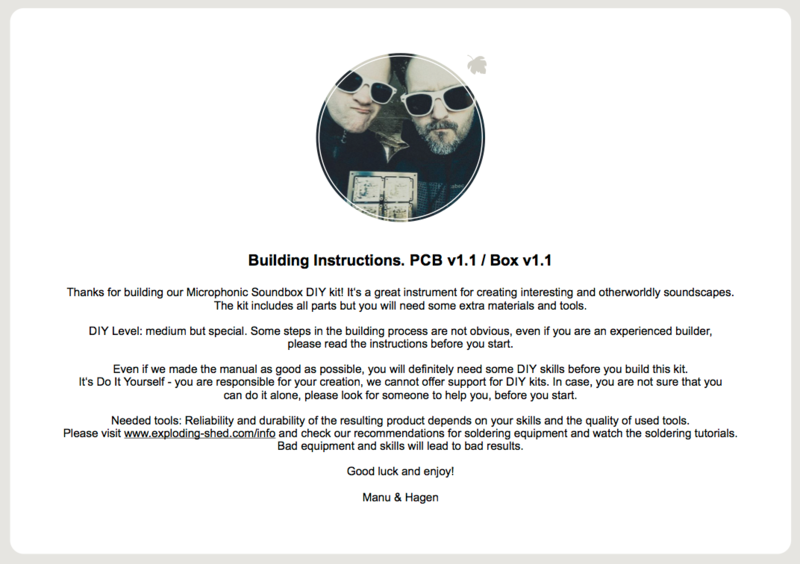 Please download the Soundbox v1.1 Building Instructions as PDF. 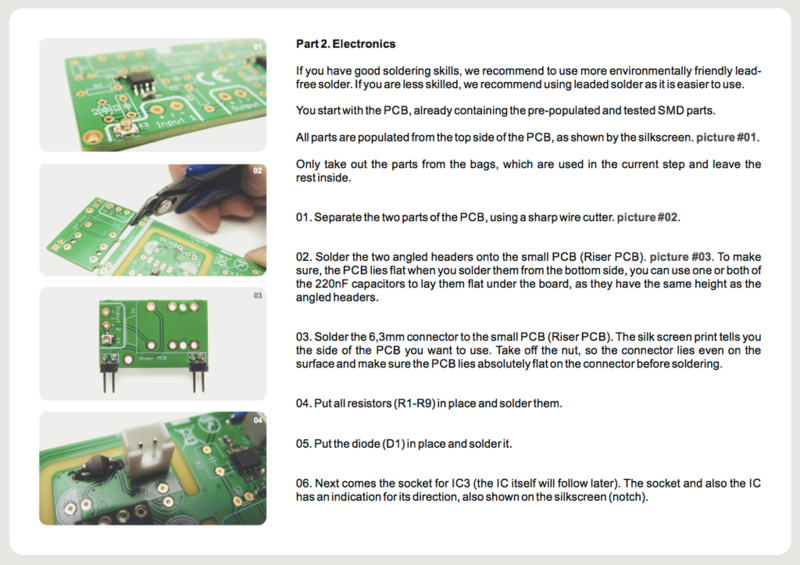 Here are additional pictures that might help you in the process of assembling the PCB. While assembling the electronics is relatively usual and easy, the whole mechanical part is a bit more advanced. 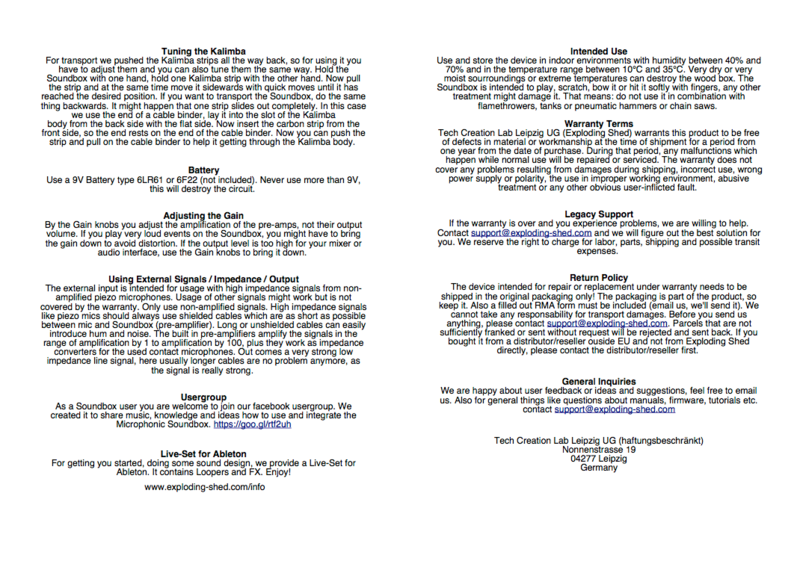 We think that videos can describe that process better than many words, so on this dedicated site, we collected all videos, it's also linked in the building PDF.